Powerclean Chemicals, My New Household Cleaning Partner! - Triple Joys!!! Powerclean Chemicals, My New Household Cleaning Partner! As a mother and as a wife, I really want to make sure that my family is always comfortable, safe, happy and presentable. That is why I always keep my eyes and my views open to whatever the world, and the market, has to offer me. :) So, despite the fact that I am already comfortable with all the products and services that I am already patronizing, I am still always on the look out for new ideas and new offerings! And this is also true with the cleaning products that I am using in our house. And so, when early this month I was given the chance to try the cleaning products offered by Powerclean Chemicals, I did not really let the opportunity pass! Powerclean Chemicals is the banner brand of Oxychem Corporation, a company which aims to provide cleaning chemical solutions for small and medium-size industries. It initially caters to chemical products for laundry, housekeeping, restaurant, car cleaning, spa and swimming pools, but now, it also offers cleaning supplies, equipment, pest control services and cleaning services. It is now gaining wide acceptance in the market as a "Total Cleaning Solutions Provider" , bearing the tagline of "Panlinis na mura, at dekalidad pa!". 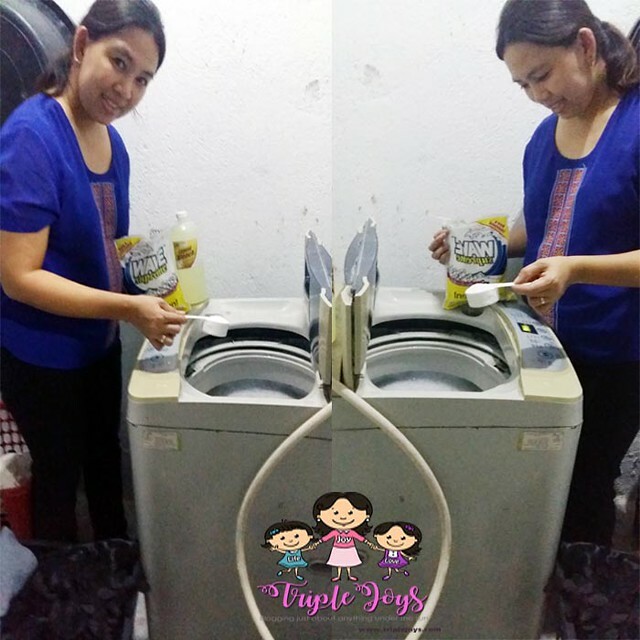 Among all the products offered by Powerclean Chemicals, I was really excited to try first the Wave Supreme High Density Detergent powder. Wave Supreme is a high grade powder detergent especially formulated for all types of fabric. And upon scooping this detergent, I immediately noticed the fine texture of the powder. The color is very white and the fragrant really smells good. I used 4 scoops of the detergent powder for this full load of laundry. And since I ran out of fabric conditioner during that time, I just ran the washing machine as it is. And how surprised I am after the machine finished washing our clothes - it smelled really fresh and clean despite the absence of fabric conditioner! Yay! Definitely one satisfied mommy here! :) I would definitely add this brand to my " fave brand list" because it does not only gets the work done, it is very easy in the pocket too! A kilo pack of Wave Supreme only costs P 65.00, definitely way cheaper to the price of the leading brands. Nice, right?! The only setback of this product is its availability. Although the company is really trying its best to make their products accessible through its various outlets in Luzon, Visayas and Mindanao, I really hope they can finally make the products visible in all supermarkets too! But, with the popularity and trust that its gaining, I am quite confident that this dream can be a reality soon! So, I am really gonna watch out for it. 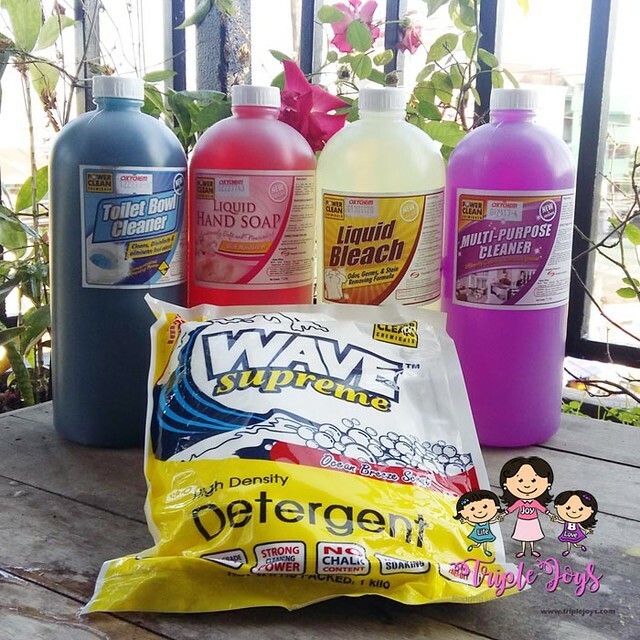 For the mean time, let us just avail and make use of their Free and Fast Delivery Services, which I think, is a much more convenient way to shop for all our basic household cleaning needs!